… or the total lack of one! Take a close and honest look at where you are in your business right now. Do you feel successful, or is there a disconnect between where you would like to be at this point and where you actually are as a photographer? Now, wind the clock back a year, to where you were at that time. How far have you moved since then? Have you progressed towards your goal of making money from photography, or moved further away? Many photographers can’t answer that last question with true clarity because, in all honesty, they had no concrete goals in mind 12 months ago, other than a vague desire to be “more successful“. The problem there is that they may not even have a good idea of what success means to them, which makes any qualitative comparison difficult, if not impossible. In other words, too many professional photographers drift aimlessly onward in the hope that things will improve, with only a fuzzy definition of where they’re heading, and with nothing to help measure their progress along the way or to help them make course corrections. What these photographers desperately need is a solid business plan. The truth of the matter is that a photography business plan does not have to be the scary-sounding, official document many of us assume it to be, full of language that only a business consultant or accountant could comprehend. Your business plan should be something you can easily understand and work with. And, I truly believe that any plan is better than no plan at all! With that said, there’s really no need for flowery language or detailed financial analyses that would put even Sir Richard Branson to sleep. Definition Of The Business: Decide on the legal structure of your business, your chosen specialties, the location (home-based or studio), any additional personnel required, and the equipment you need to operate successfully and efficiently. Your Unique Selling Points: You need to know WHY you’re a photographer and identify the most important and compelling elements of the experience you’re going to provide to your clients. Define Your Target Market: Who are you going to serve? Aim to understand your ideal clients in as much detail as possible. Only then can you aim your marketing at the right people. Operational Procedures: This details how you plan to operate your business, and how you create your photography and end-products. How many sessions will you do? Where will they be? What does your workflow look like? Do you need to outsource any tasks to others? What does your booking and sales process look like? Pricing: Understand your cost of sales, and mark those up 3–4x to arrive at a final price. Price your services and products for profit, and remember to include your time! Marketing Strategies: How will you reach your target market and get the attention of your ideal clients? Do you have a marketing plan in place? Which channels will you use the most, and how will you measure the success of your marketing? What will your marketing budget be? Where are you going to put most of your efforts into social media, email, SEO, and other channels? Client Communication: Outline your procedures for all client communications to make sure nothing and no one falls through the cracks. Potential Threats: Understand the environment in which you operate and be aware of as many possible threats as possible. For example, new competitors entering the marketplace; equipment loss or damage; loss of premises; areas where you need to evolve and adapt. Business Goals: Set goals for the next 6 months, 12 months and 3 years to help understand the planned evolution of your business. Financial Forecasting: Allow room for financial growth in income and expenditure over the next 6 months, 12 months, and 3 years. Remember to take inflation into account and be realistic. Your equipment won’t last forever, so budget for regular replacement and upgrades. Be sure to compare your estimates with reality to help refine the process. This is by no means an exhaustive list of the things you could include in your photography business plan, but having these will put you ahead of 90% of the other photographers out there, most of whom have no business plan whatsoever! Your next step is simple — act now and put together your photography business plan. 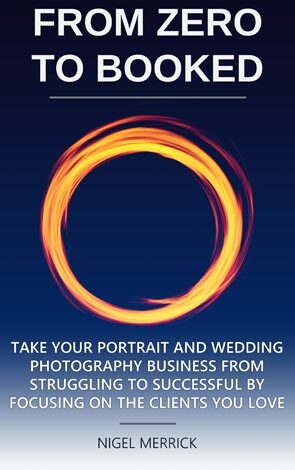 If you don’t take this critical step in your business, then you run the risk of having a photography business that merely drifts around with the wind and doesn’t really go anywhere.